One of the reasons why we got in line early for this panel was because we thought it would be harder to get into since they announced that Benedict Cumberbatch would be coming for the Penguins of Madagascar movie. 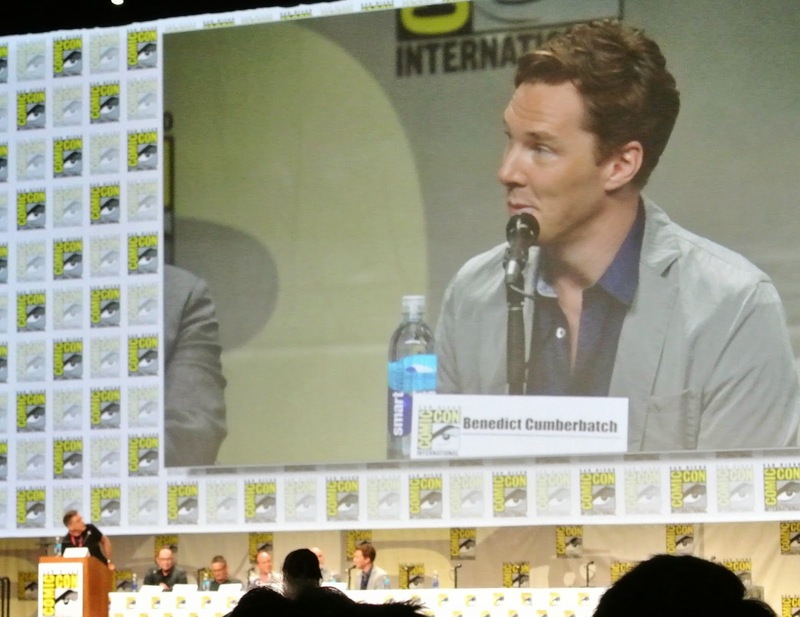 For whatever reason though, Hall H was really easy to get into that morning and I heard it was like that all day. 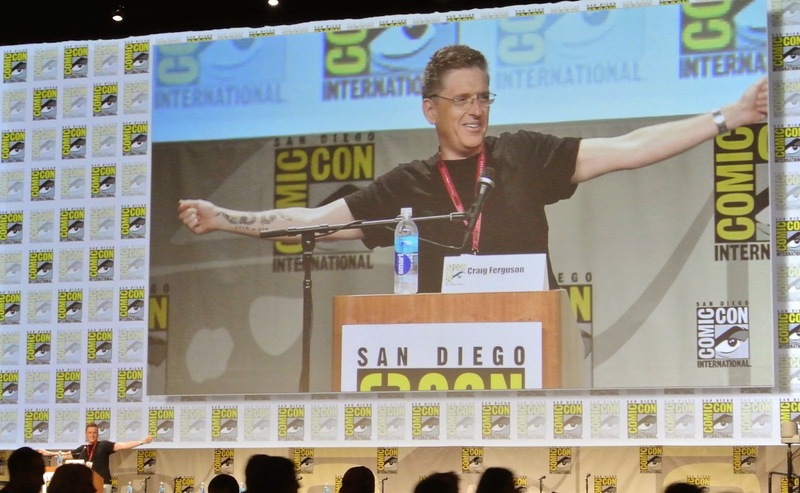 We found The Giver panel to be one of the best ones we attended this year. 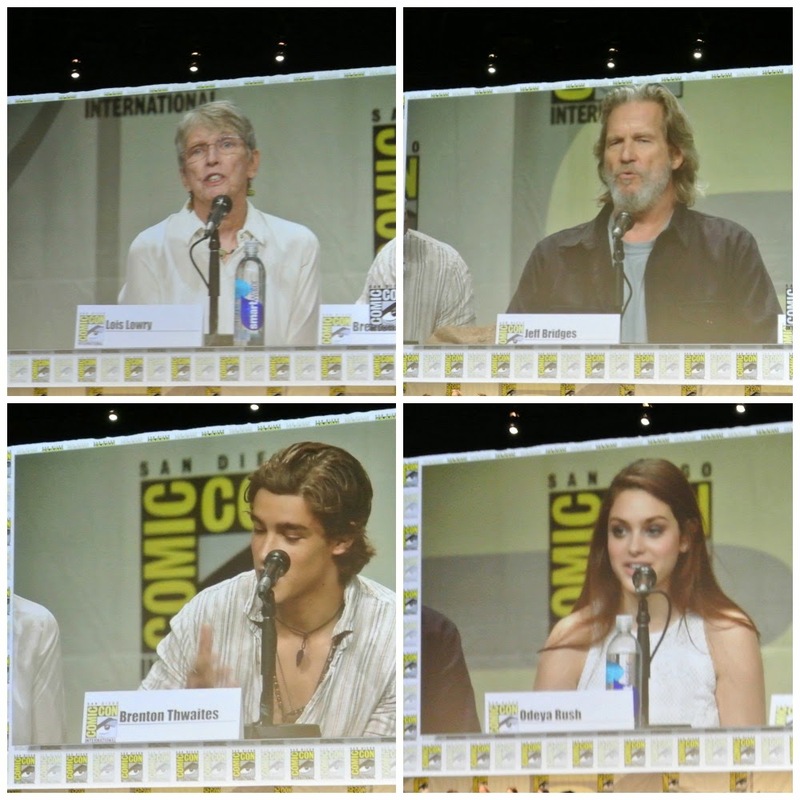 It was a packed panel with the author, Lois Lowry, most of the key cast including Jeff Bridges, Brenton Thwaites, and Odeya Rush, and the producer. Although there were some major spoilers for anyone who hasn't read the book, it was really entertaining and the extended trailer they showed looked pretty amazing. It was also pretty cool to see how many questions were for the author. 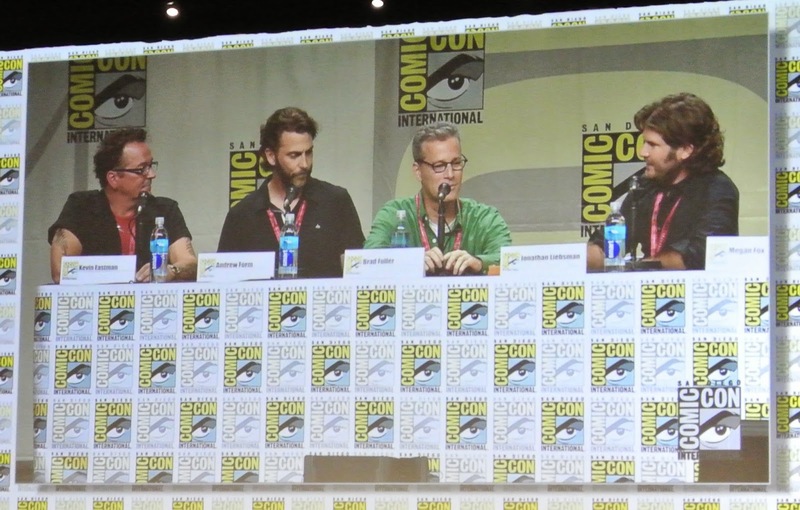 The author definitely had more awestruck fans than any of the other members of the panel. The Paramount Pictures panel was the biggest panel of the con for us and ended up being our most favorite. They didn't list any specific movies they were bringing, but we were pretty sure that they would bring TMNT which is really the only other reason we decided to get in line for Hall H and stay through this panel. Andrew is a huge fan of the Teenage Mutant Ninja Turtles and he introduced them to the kids as soon as he could. (When Jadon was a toddler, he used to think Andrew's green TMNT shirt was his favorite because he wore it so much. Isabelle loves pretending she's a baby Shredder while Andrew is the daddy Shredder.) Even though we were both skeptical about the new TMNT reboot, the panel and the footage they showed has gotten us pretty excited to see the new movie. Seeing the original co-creator of the turtles as well as the rest of the panel super excited for the new movie was also contagious. This entire panel was so fast paced that it was almost too fast for me to process everything, but it was a pretty epic panel with the amount of content they were able to fit in one hour. 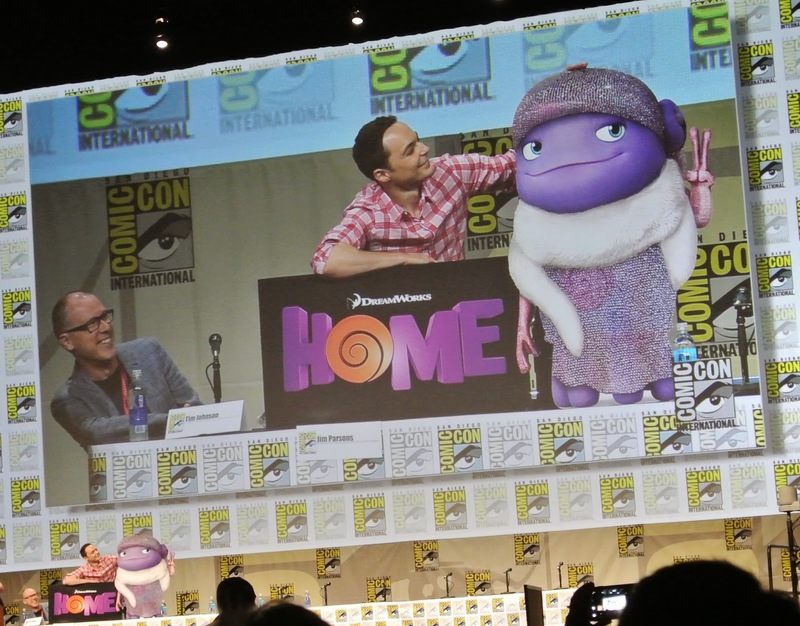 The kids got a nice surprise when Spongebob's voice was off stage opening up the panel. 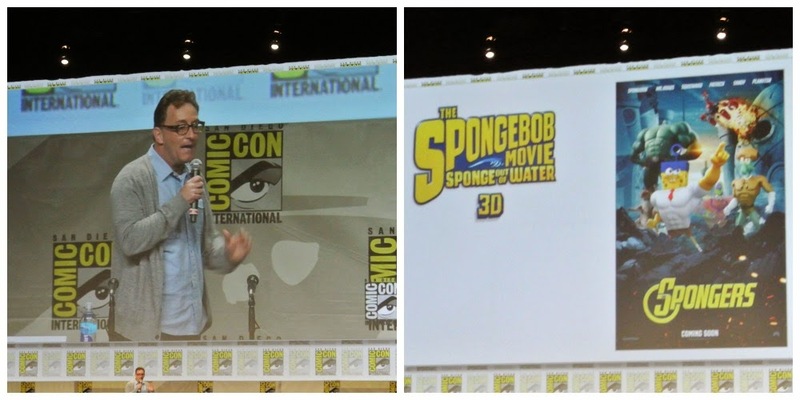 The voice of Spongebob then came on stage and he showed us a trailer for the new Spongebob movie which the kids loved. It was surreal seeing him do the Spongebob voice and laugh since it's such a bizarre voice. At one point, the Rock came out and hyped up the crowd, inviting everyone to watch Hercules for free at a few screens across town. We also saw trailers from Project Almanac (Things go awry when some teens discover time travel) and Hot Tub Time Machine 2 (Time travelling again, only this time, into the future.). 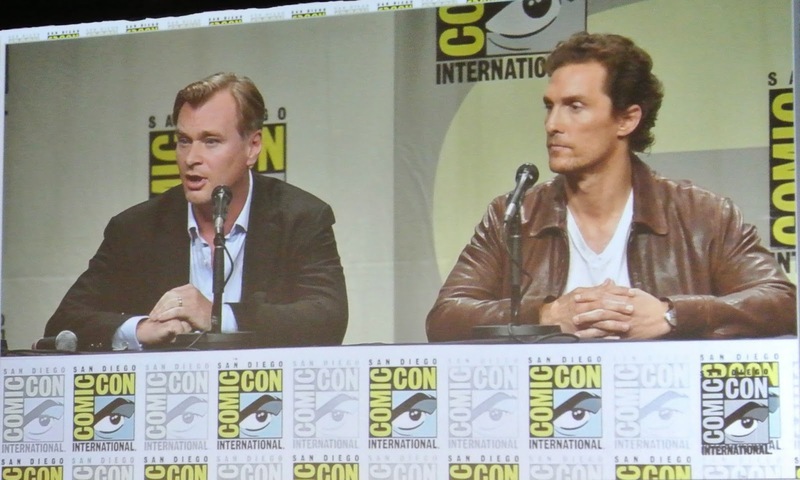 The final panel for Interstellar was the most epic one of all. At first the last panel finished up and we weren't sure what was going on because the lights stayed off but when they announced Matthew McConaughey, everyone flipped out by giving him a standing ovation. He did his iconic "all right, all right, all right" and talked a little bit before introducing director, Christopher Nolan, who also received a standing ovation. 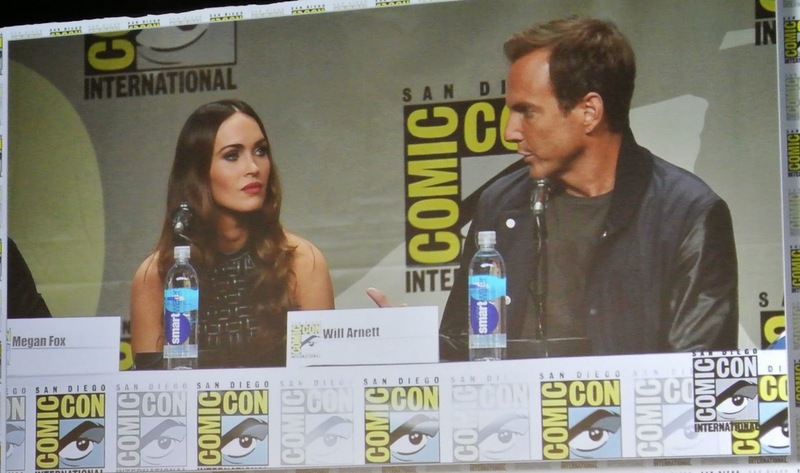 It was the first time at Comic Con for both of them which I was really glad to be there for. Christopher Nolan gave really interesting answers and the newest trailer looks really, really good. They said it wouldn't be released for some time so definitely be on the look out when it is. As much as we would have liked to stay for the Entertainment Weekly panel with visionary TV show runners afterward, we decided that 4 pm was a good time to exit Hall H. Sitting there all day was well worth it, but we were ready to go elsewhere like walk through the exhibit hall for the first time, attend a smaller panel, and get dinner before heading back to our hotel for the night.